The vineyards of the Bourgogne region are home to some celebrated varietals. With more than 80% planted with Chardonnay and Pinot Noir, the Bourgogne winegrowing region is also a showcase for Gamay and Aligoté. Find out about the varietals grown in the Bourgogne winegrowing region before savoring your favorite wines. The Bourgogne winegrowing region is home to some very old varietals. The region provides ideal weather conditions and a terroir that is perfectly suited to bring out their very best. Pinot Noir juice is clear! To take on its lovely red color, the grapes must be macerated in vats to put the skins containing the color in contact with the juice. If they were vinified without maceration, Pinot Noir grapes would produce a white wine. This is the case for Crémant de Bourgogne Blanc de Noir wines. In the Bourgogne region, the wines are mainly single varietal. This “purity of expression” means that each plot gives each vintage its own personality and unique characteristics. Chardonnay and Pinot Noir, the ultimate references in the Bourgogne winegrowing region, have thus become wines with a unique aromatic expression. Their rich aromas can evoke flowers, fruit or even spices. • The White wines (accounting for 62% of production) and the Crémant de Bourgogne wines (8%) can vary from pale yellow to golden yellow, with hints of green, straw yellow, orange or amber. • Red wines (29%) come in all kinds of tones including cherry, bright red, mahogany, burnished red, and brick. • Rosé wines (1%) range from violet to grey pink, with a range of shades including raspberry, orange and salmon. Pinot Noir vines were probably brought to the Bourgogne region when it was first planted with vines in the Roman era. The varietal established the reputation of the region’s great red wines. 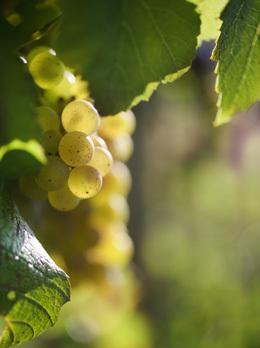 Cultivated by locals for centuries, the Chardonnay grape is responsible for the reputation of the great white wines of the Côte de Beaune, the Côte Chalonnaise, the Mâconnais and Chablis. Another very old varietal, the Gamay grape bears the name of a hamlet in Saint-Aubin, close to Puligny-Montrachet. 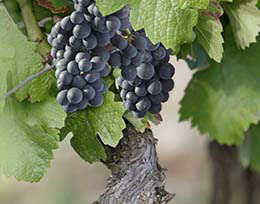 A popular varietal for red wines from the Mâconnais, it is also used as part of the blend for Coteaux Bourguignons, Bourgogne Passe-Tout-Grains and some Crémant de Bourgogne. Aligoté is another old Bourgogne varietal. It can be found around the region in places not suited to Pinot Noir or Chardonnay, but which are nonetheless good places for growing vines. Winegrowers use it to make Bourgogne Aligoté, an AOC Régionale. Aligoté, just like Chardonnay, Pinot Noir and Gamay, can also be used in the production of Crémant de Bourgogne. If you head into the Auxerrois, you might encounter some other less well-known varietals such as Sauvignon and César. The first produces a light and fruity white wine called Saint-Bris (an appellation Village). The second, when combined with Pinot Noir, gives solidity and a certain length on the tongue to red wines from the Irancy appellation Village. Some winemakers defend the Pinot Beurot or Pinot Gris white varietals, which were probably originally from the Bourgogne region, but which have now almost completely disappeared. They can be found in some of the world’s other winegrowing regions in Switzerland, Hungary, Germany, and Alsace in France, among others.